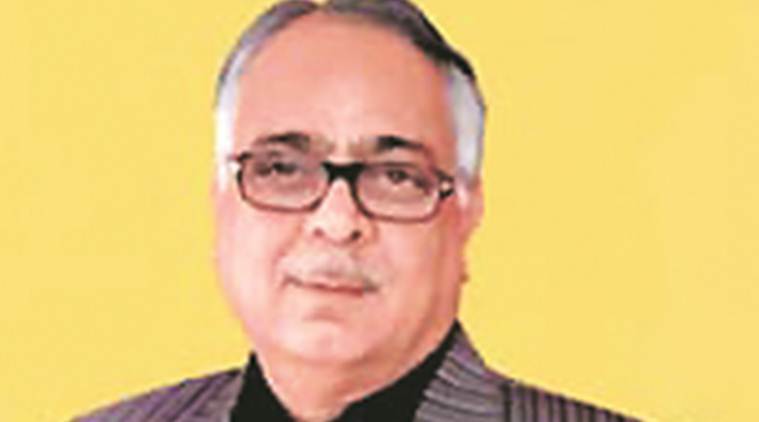 While the police are probing alleged tax evasion committed by Munjal, four other city-based companies were served notices to join investigations. On Monday, Munjal was arrested on the charge of evading tax to the tune of Rs 5.09 crore. THE COURT of Chief Judicial Magistrate Abhishek Phutela on Tuesday remanded Ind-Swift Laboratories CMD N R Munjal in two-day police custody for further interrogation. The police suspect these four companies have also evaded tax collectively to the tune of Rs 1.60 crore. Chandigarh Police’s Crime Branch is currently probing Rs 450 crore VAT and excise tax evasions by a large number of companies from the year 2011 till 2015. In the court, Munjal’s lawyer Terminder Singh objected to the police’s application seeking his client’s custody citing Munjal’s ill-health. When the court asked him to produce the medical history of Munjal, advocate Terminder produced the medical records dated 2016 and March 2018. To this, the court contended that Munjal had not visited the doctor for the last nine months. Thus, the police were granted his custody and directed to get his regular medical checkup conducted. In the case of Rs 1.60 crore tax evasion, the four companies that have come under the Crime Branch’s scanner are Vishal Distributor, Vishal Enterprises, both in Sector 32, Impeccable Laboratories located in phase-II of Industrial Area, and Aggarwal Electricals Store in Sector 22. Vishal Distributor and Vishal Enterprises are owned by Vishal Singla, a Sector 32 resident. Despite repeated attempts, Singla did not reply to queries sent by Chandigarh Newsline. His manager Rakesh Kumar, however, refused to comment. Vishal Enterprises and Vishal Distributor deals in liquor, Red Bull energy drinks and food products. Impeccable Laboratories is owned by B K Mishra while Aggarwal Electricals store is owned by Anil Aggarwal.